After learning that their father has been captured, the brothers go to family friend and fellow hunter Bobby Singer (Jim Beaver) for help. However, Meg tracks them down, but is caught underneath a mystical symbol known as a “devil’s trap”, which renders her immobilized and powerless. The brothers proceed to exorcise the demon though they know it will kill the real Meg due to her injuries sustained in Chicago. Before the real Meg dies, she offers a clue to John’s whereabouts. Sam and Dean head to Jefferson City, Missouri, and rescue their father. However, Azazel soon reveals himself to be possessing John, and attacks them. As Azazel tortures Dean, John is able to temporarily gain control, and begs Sam to use the Colt to kill Azazel. Not able to bring himself to kill his father, Sam instead shoots him in the leg, and Azazel flees. On the way to the hospital, the three are then crashed into by a large semi-truck with a demonically possessed driver. Again, it’s so bizarre to see ‘The Road So Far’ without hearing ‘Carry On My Wayward Son’, especially two episodes in a row. Meg has John, but the boys have the Colt. And it seems that John is still keeping Sam and Dean in the dark. Bobby! Bobby Singer winds up being one of my favourite characters on Supernatural. I couldn’t remember if he first appeared in season one or season two, but here he is! For me, Bobby is one of the best, most beloved characters. Okay here we go, time to learn about devil’s traps! They’ll make good use of these over the course of the series! WOAH Meg busting into Bobby’s house! I can’t hep but get a bit emotional watching this. It feels so very momentous to be seeing Bobby and his home, with devil’s traps and an exorcism, for the first time – all in one episode. These become such hallmarks of the series later on. Bobby tells the boys that Meg is a human possessed by a demon – the real, human Meg and her body are the demon’s vessel. They need to try to exorcise the demon without harming the body of the person being possessed. As I’ve said before, this is in pretty stark contrast with later episodes where they don’t seem concerned about that at all. After Sam threatens to exorcise the demon, Meg reveals where they’re keeping John Winchester. And Dean, perhaps out of anger or hatred of the demon, or indifference to the real Meg Masters, tells Sam to finish the exorcism – even after Bobby warns him that the real Meg might die. The demon is the only thing keeping that body alive after being thrown out the window by the daeva – her body is broken. Ah yes, it seems to be canon now that the demon will enter/exit its vessel via the mouth. Man, just like Sam and Dean were just right from the very beginning, so is Bobby. He’s perfectly Bobby from his first appearance! The real, human Meg is still alive, but just barely. She reveals that the demon was possessing her for a year; she was awake and knew what was happening – what the demon was saying and doing while it possessed her – but she couldn’t stop or control it. Then she dies, just like Bobby said she would. As we’ll see, Bobby is usually right. The boys leave the Colt in the trunk of the car and go to rescue their father. I love that they’ve warded the trunk. So the demons can look like anyone – what to do? 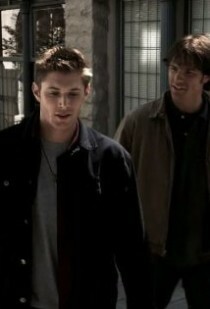 Sam and Dean pull the fire alarm to evacuate the building, figuring the only people who won’t flee are possessed. There’s John! They found him! 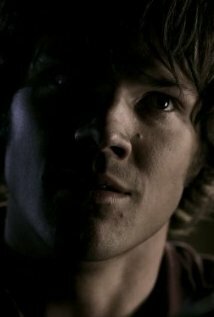 But Sam warns that he could be possessed. Outside, we see the demon somehow transferring from vessel to vessel without ‘smoking out’ – seems to take place by touch. Do they do that again? It doesn’t seem to fit with what we’ve learned. Demon attack! And Dean uses the Colt. They only have two bullets left now! But Dean wasn’t going to watch Sam get beaten to death by a demon. But…the vessel/host is now dead. Does Dean feel guilty about that? Yes, he does later, but for a different reason: because he didn’t hesitate to kill him. The things that Dean is willing to do for Sam and his father scare him. They rescue their father, and Dean is concerned that John will be upset at him for ‘wasting’ a bullet. But John says he’s not upset, he’s proud. Then he asks for the Colt, even saying ‘please’. And this is how the boys know that their father, John Winchester, is possessed – because he would never say ‘please’, he would be furious with Dean, and he wouldn’t tell him that he’s proud. I love this scene. The utter tragedy behind Dean’s words is that they’re so true. 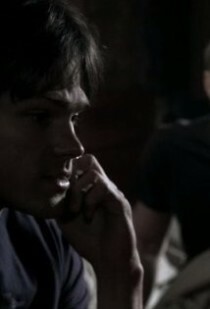 And I love that Sam trusts Dean, even with the stakes this high, more than their father. 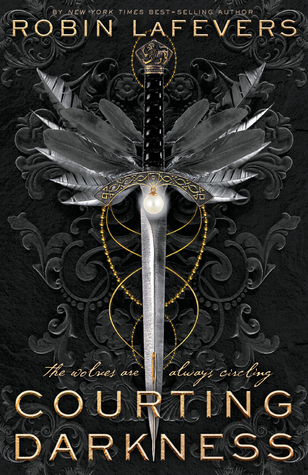 Dean, the obedient son, is the one who sees that it isn’t their father, and stands up to him. There’s Azazel! Those yellow eyes! Dean, good call. He’s a terrific hunter now in his own right. And Jeffrey Dean Morgan plays a great John-Winchester-possessed-by-a-demon. John is trapped inside his own body, while Azazel threatens his children. Azazel says that Meg-Demon was his daughter, and that the demon Dean killed in the alley with the Colt was his son. Sam, of course, wants to know why – why kill Mary and Jessica? Azazel answers that they got in the way of his plans for Sam and the kids like him. Then Azazel calls Dean out: he fights for the family, but they don’t need him like Dean needs them, and Dean uses humour and sarcasm to mask his pain. Precious Dean! Dean’s really getting torn up here! Literally! And then John temporarily overpowers Azazel to talk to his boys. Sam makes a good call and shoots John in the leg with the Colt. Will this get the demon out, without killing John? Nope. John says that the demon is still in there, but they’ve got to get to a hospital. OMG this time around Sam is saving Dean! EMOTIONS! And in the end, Sam can’t kill his father. Thankfully, Azazel still smokes out. Phew, they seem to be in the clear, as long as they can get to a hospital…Naturally, John is upset that Sam didn’t kill him, but Sam rightly answers that for him, killing the demon doesn’t come before everything. BOOM! TRUCK! That is quite the cliffhanger! Thank goodness they got a season two! This was a great episode! It was all about Sam and Dean, their father, and the bigger storyline. We get hints of Azazel’s bigger plan, and the emotional moments between the brothers and their father were so fantastic. The show is much stronger in season one than I remembered. The dynamic between Sam and Dean (and then later, John) was obvious right away, and the more the show focused on that, the better it became. 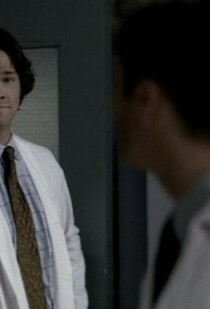 Dean and Bobby were so ‘themselves’ from their first episodes. Just wonderful. And of course, Bugs and Route 666 were as not-great as I remembered. But you know what? Even a sub-par episode of Supernatural is good TV! It’s been so great rewatching season one, knowing what I do about all that comes after. It makes everything even more poignant, bittersweet, and heartbreaking.